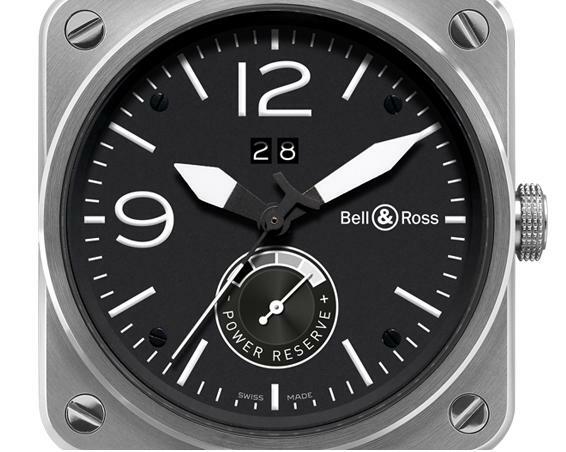 Described by French/Swiss watch manufacture Bell & Ross as an aviation watch designed for the needs of professionals, the BR03-90 is American designed and equipped with a Swiss-made mechanical automatic movement. Featuring the classic clean look inspired by the BR01-92, this watch is the first in the BR03 range to feature both a ‘big date’ view and a large visible power reserve, positioned at 6 o’clock. The power reserve indicator from the Soprod 9090 movement reads like a fuel gauge on an aircraft instrument panel. The 42mm polished and satin-finished case is 100 metres water resistant. Beneath the sapphire crystal, the galvanic matte black dial combined features photoluminescent index, numerals and hands to deliver excellent visibility in all conditions. The power reserve indicator is the most prominent dial element. Other useful features include a date display positioned at the 12 o’clock mark, matte galvanic black dial, satin-brushed steel and scratch-resistant sapphire crystal glass with anti-reflective coating. 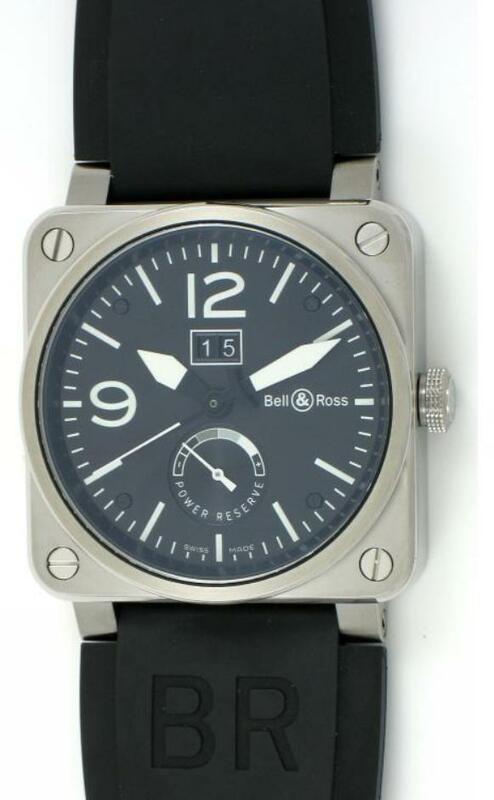 Rubber and heavy canvas straps are included, and the retail price is US$4,800 but it can be snapped up for $1000 less with some careful web surfing.